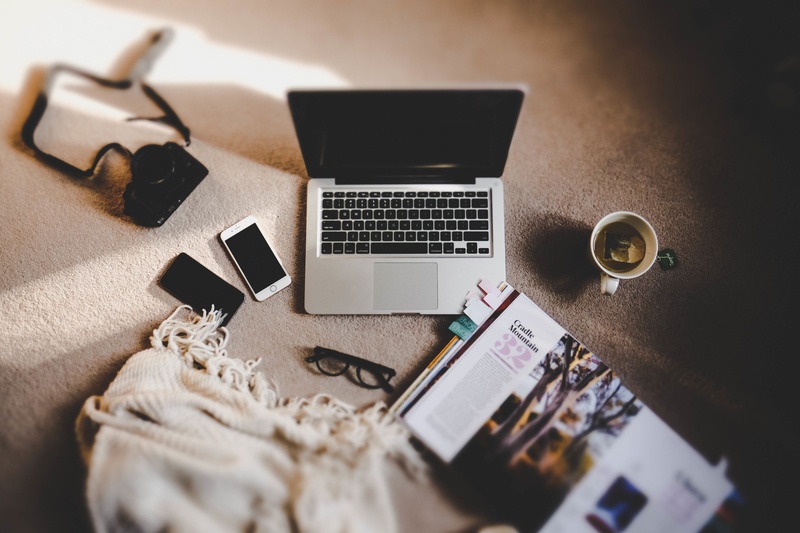 Are Big Influencers Buying Instagram Followers? First, I want to start off this article by saying that I don’t want to denounce anything, I am just wondering about how the big Instagram accounts become so big. Their owners have made a choice and I respect it. Surely, they have very good motivations to buy followers, if they do. I just want to question, and maybe raise awareness about some practices, especially for the followers of these influencers, the other accounts that look up to them, and the companies that work with them, because they are the first ones fooled. I think before I started investigating on the matter, I was part of the first group to be honest. I recently started to really get curious about how Instagram could be used as a lever to draw traffic on my blog. Not only that, but I have always been a big Instagram fan since I started my account in 2013. I was interested to see how these big accounts made it to the top with hundreds on Ks of followers. Luckily enough, there was a bloggers & YouTubers conference organised close to where I live, so I decided to go, because I was eager to have all the little secrets to success revealed. There, I was told, like many times before online, that the secret to blooming followers figures was to post quality content and engage with other users of the social media platform. But then I started thinking with a more rational approach, looking at the figures. To do so I used a very useful website called SocialBlade. This website gives you in – almost – real-time the count of followers, views, and a lot of other metrics for various social media platforms, including Instagram, YouTube, and Twitter. If you have enough followers, your analytics are available there (and made public). That’s what I used to have a look at those big accounts. I am here genuinely wondering: is there any other explanation than them buying followers? If you have an answer, let me know in the comments. Here is my theory: these accounts do not do buy followers out of pride, at least most of them. They do it for the money. Indeed, these days, the world of Instagram is becoming more and more professional, and unfortunately more and more automated. This is all in order to impress brands and companies. Because they are the ones with the money to invest in it, more or less wisely. Are these influencers thinking that they can fool advertisers with a big number of followers? I guess that can be the case, but increasingly, people also look at other metrics, such as the engagement rate. If you have 100K followers on your account, and 100 likes on your latest picture, it shows. This is really an open question and I guess I don’t have all the possible answers to it. If you are buying followers, please do share your opinion in the comments, I am very interested. Also, I am still curious to know why this is all taboo. Especially if one can figure it out just by looking at SocialBlade. The examples below are of two accounts that I (still) follow and I have to admit this discovery disappointed me a little bit, but I am not naive, I am just trying to understand. 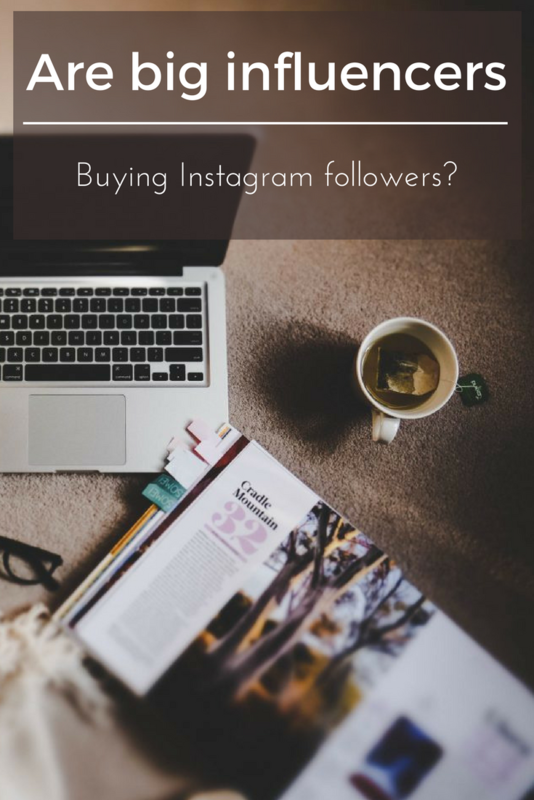 Do you think buying followers is a growing trend, even among the big influencers? In general, I think the question “how did they become so big” is quite easy so answer if you are a succesful Instagrammer. There is a huge snowball effect once you have a big account and consistently rank under top posts of huge hashtags, get featured multiple times by major account (1mill+) and have a strong and engaged follower base. If your engagement is somewhere between 1-5%, it is likely you have either a lot of purchased followers or grew huge overnight by some huge feature (instagram or a celebrity). I’ve seen people grow 30K followers per day from being featured by a youtube celebrity and it was totally legit. The profile just kept on exploding. At some point it just stopped flat and the person has slowly been bleeding followers since then. Keep in mind that there is a big network/friendship of huge profiles that consistently share/feature each other so it’s not necessarily fair to assume that just because you got big means that you bought your followers. I have 100K followers and assume to get to 500K by the end of the year – all organically. Thank you very much for your input, indeed there are still people that earn thousands of followers in the legit way (thank God for that)! I have a huge spike in my followers, one of my pictures went “viral” one year ago and received 8K likes over few days and I got hundreds of followers. Since then I am “bleeding” followers, recently I managed to keep them around 1720, I have about 3 % engagement so most of these followers are probably dead accounts. I check my statistics on Socialblade regularly and to be honest I am a bit affraid that one day someone will talk bad about me and my Instagram account because of that spike and continuous dropping of followers. I did not buy them, they came on their own, I have the “viral” picture to prove it but I suspect noone would actually dig so deep into my account to find it by themselves. Read my 7 simple tricks for better skin (link). I get that! And I am not trying to generalize because there are hundreds of specific cases. I’ve often wondered this myself. There are a few other people in my industry who started Instagramming the same time I did and suddenly, their Instagram followers just took off while mine grew slow and steady. Thanks for looking into it! I think you are absolutely right and most of the companies investing money in influencers don’t know this, and somehow they tend to blindly look at the numbers. Thanks for a great view on this! I enjoyed this post, as its an interesting subject not usually addressed! I was hoping that once you pass the 1k mark, the followers just keep rolling haha. I personally find it quite difficult in general to grow my Instagram.